As restorative dentistry has improved over time, it has created and refined multiple options for restoring various damage to teeth. Constructed from reliable, strong materials, these dental restorations restore the ability of damaged natural teeth, improve your oral health, and in many cases bring aesthetic improvement. However, despite the march of dental progress, these restorations are still at risk of damage and/or loss. Fillings, inlays/onlays, and crowns can come loose and fall out or break. This can result in inconvenience, discomfort, and reduced function. When this unexpected emergency occurs, Alex Bratic Dental Care is here to be your partner in quick, effective solutions. If your dental restorations are damaged or lost, you can trust your family dentists in Beenleigh! Expected wear and tear. Each day your dental restorations help your teeth perform the various functions of your teeth. Biting, chewing, and grinding are among the main functions. Over time, these activities weaken your dental restorations, which can cause them to weaken or become damaged. Improper use. Your dental restorations are not as strong as your teeth and come with built-in limits. Using them outside the normal function of teeth, such as for opening things, can weaken or damage them. Cavities. When dental restorations are first put in place, your teeth are thoroughly cleaned and any weakened areas are replaced. After restoration you are given instructions on how to maintain good oral health to help support the function of your dental restorations. 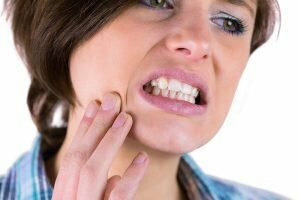 Neglecting to follow these instructions can lead to cavities in the affected tooth, which will attack and damage your tooth until it can no longer support its dental restorations. Poor initial treatment. Poor dental work can influence the durability of your dental restorations. Choosing your dentist at Alex Bratic Dental Care can be as important as getting proper dental treatment itself. A well-designed, well-constructed, and well-placed dental restoration is less likely to suffer damage. Chewy/hard foods – eating too many chewy or hard foods can gradually affect a tooth with a filling, crown, or inlay/onlay. Restorations can be pulled off or cracked by the wrong foods. Rinse your mouth completely to remove all loose pieces of damaged tooth fillings, inlays/onlays. Do not attempt to restore the damage. While dental cement kits are available in your drugstore, it is safer not to replace your damaged tooth fillings, inlays/onlays yourself. Swallowed dental restorations are generally not dangerous, but they can be breathed in, which can lead to an infection of the lungs. Apply clove oil to the affected tooth using a clean cotton swab or a clean piece of cloth to reduce pain and sensitivity. Use over the counter pain remedies if necessary. Visit your Alex Bratic dentist immediately. Locate the crown as soon as possible and keep it in a safe place. Rinse your mouth completely to be sure that there is no loose debris remaining in your mouth. Using a clean piece of cloth or a cotton swab, apply clove oil to the tooth to reduce sensitivity. Schedule an appointment with your Alex Bratic dentist immediately. Petroleum jelly or temporary dental cement can be temporarily employed to keep dental crowns in place and to reduce sensitivity. Never use household glue. As with lost fillings/inlays/onlays it is best to let your highly-skilled Alex Bratic professionals do restoration work. 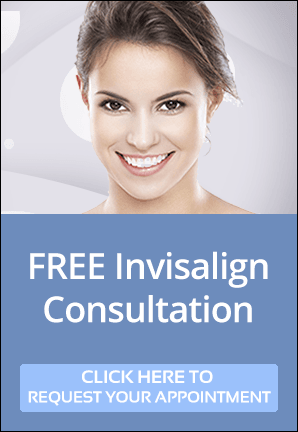 Going to your Alex Bratic dentist is the most important thing that you can do if your crown or inlay/onlay has come off or become damaged. At Alex Bratic Dental Care we can permanently bond the damaged treatment back to its original tooth structure. Before permanently replacing the crown or inlay/onlay, we will clean and disinfect the area thoroughly to avoid bacteria getting to the treatment area. Losing a crown, filling, or inlay/onlay can create risks to your oral and general health. Before it’s too late to rescue your teeth and your dental restorations, consult your trusted Alex Bratic dentist immediately. Make an appointment with us and we will work quickly and efficiently to return your restorations to their fully-functioning state. We provide skilled and urgent treatment for small and large dental emergencies with the assistance of our expert dental team and cutting-edge dental equipment. Alex Bratic Dental Care in Beenleigh delivers the very best in dental services to patients of all ages. If you, your child, or a family member needs a smile fix or just a checkup, we’re here for you! For dental emergencies in Beenleigh and surrounds, please call (07) 3287 2627 or visit us at 113 City Road in Beenleigh.